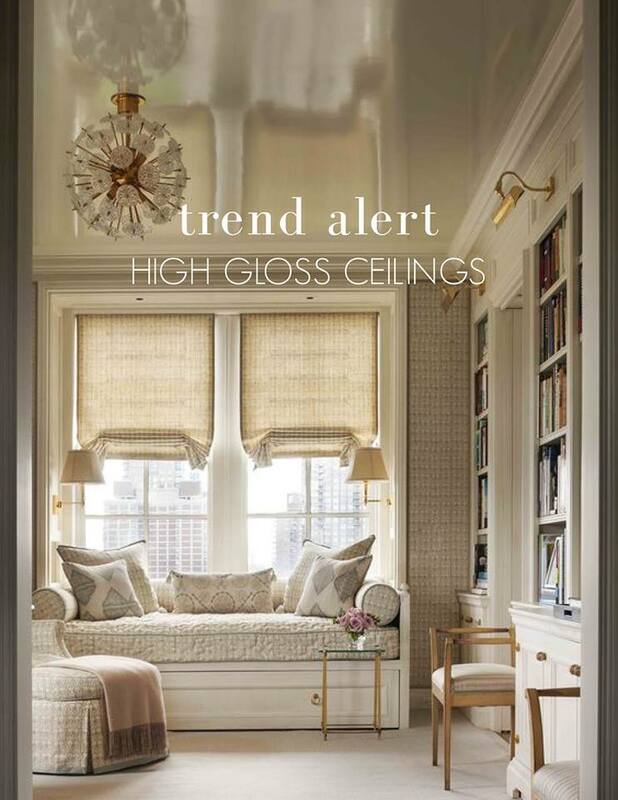 While high gloss paint has been trending for a few years now, we are seeing a shift to using this finish on ceilings for extra drama! 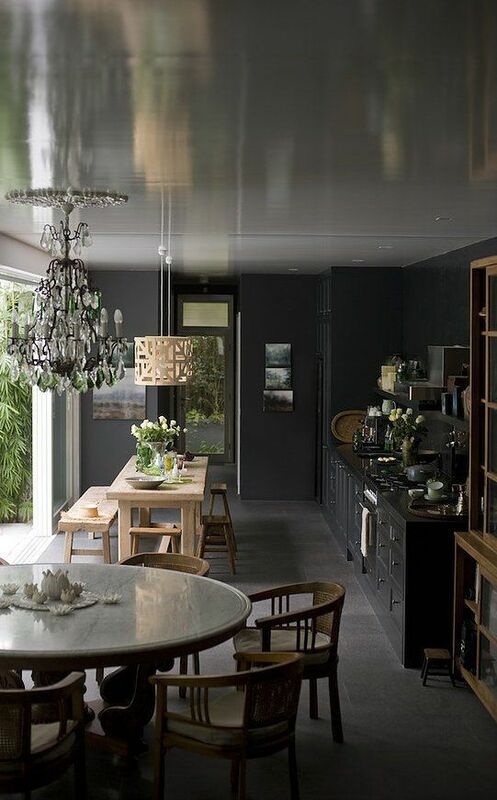 High gloss or lacquered ceilings create an illusion of endlessness. 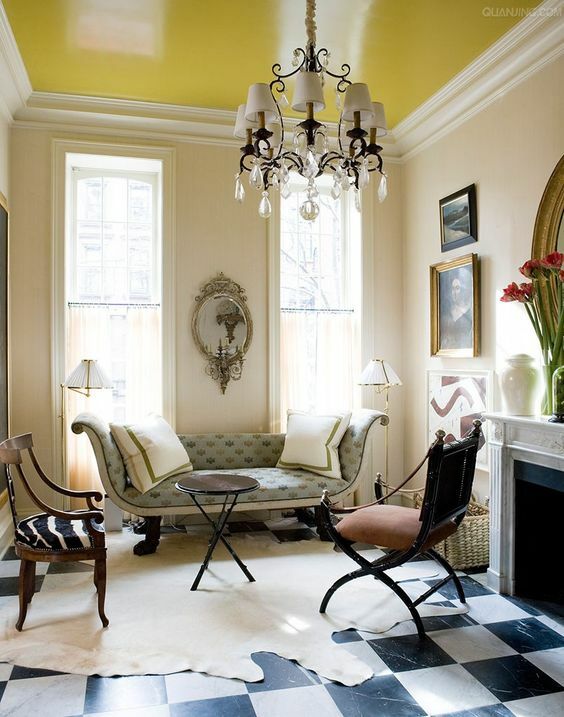 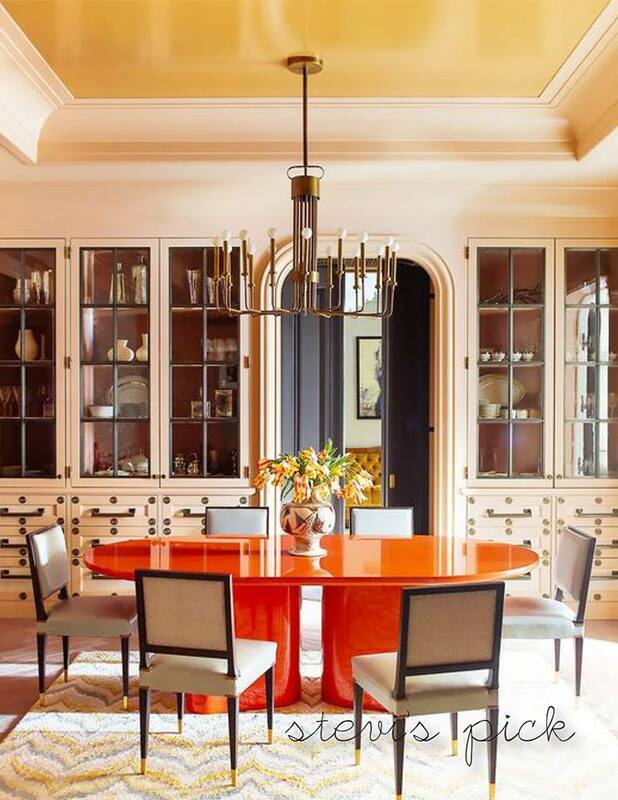 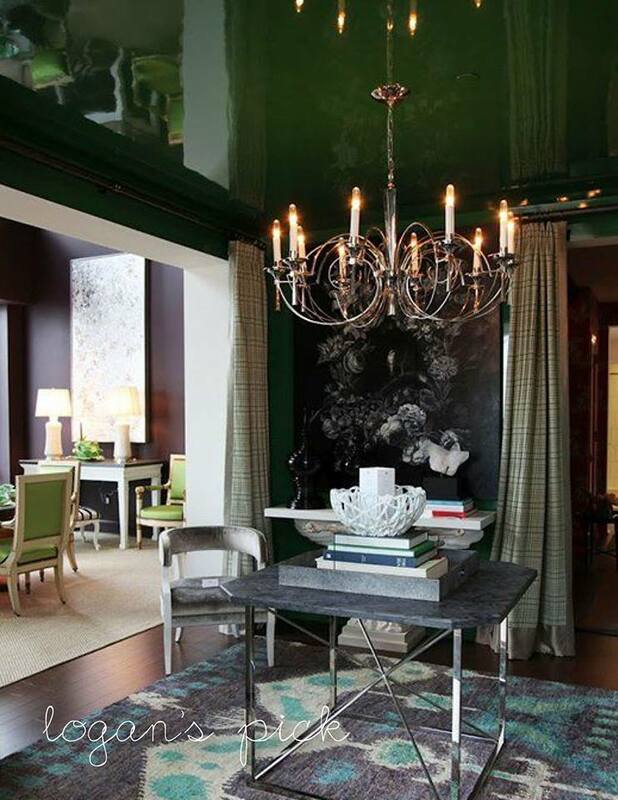 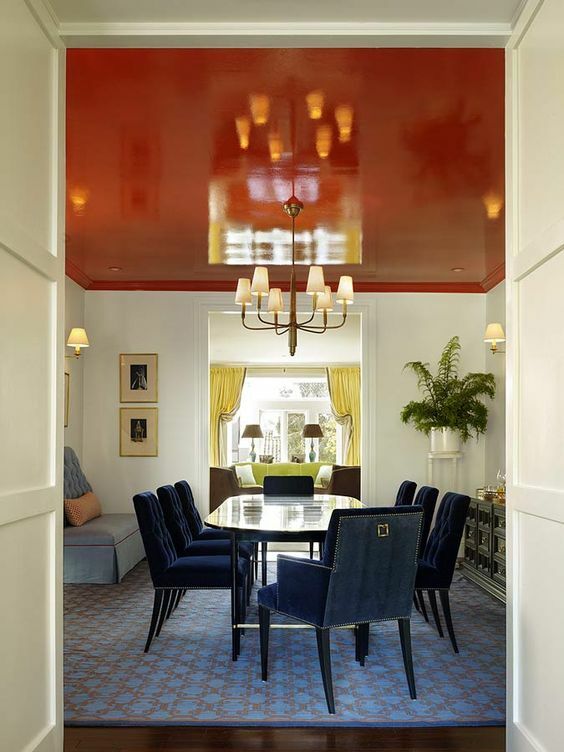 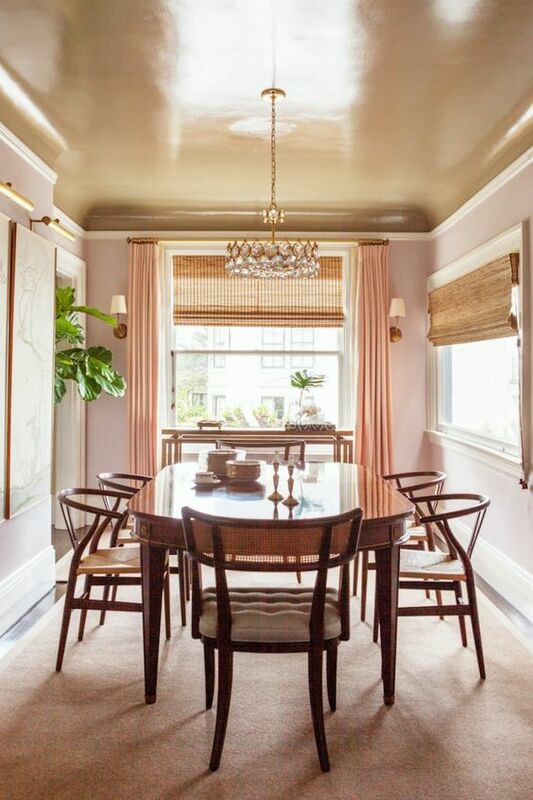 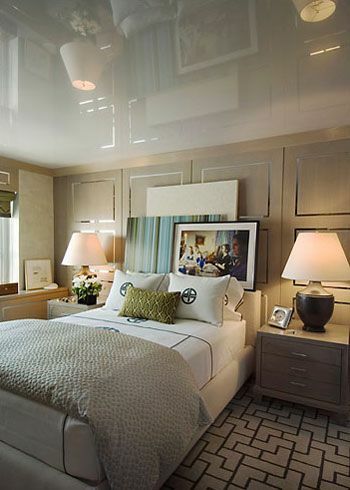 If a ceiling like the one here is too dramatic for your tastes, use a semigloss paint instead.